Hair loss can appear in a variety of ways— a receding hairline, overall hair thinning, balding crown, or thinning eyebrows— but in any circumstance, the loss of hair will change a person’s appearance and have a huge effect on his or her self-esteem and self-identity. The appearance of healthy, full hair can boost confidence and is considered a sign of beauty and youth, for both men and women of all ethnic backgrounds. Hair Loss can be traumatic and is often the cause of depression and self esteem issues. The NeoGraft Hair Restoration procedure can restore the thickness and placement of your hair permanently, without creating a linear scar. Those suffering from receding, balding, or thinning hair may finally regain the confidence lost, after receiving Hair Restoration. The ability to undergo multiple treatments within as little as one year, is a convenient factor for many. In male pattern baldness as an example, one might need to do the crown and the receding hair line, which can require two treatments depending on how many grafts are needed. Hair Restoration Savannah offers PRP Scalp treatments in conjunction with hair restoration or by itself. PRP Scalp Treatments can slow down hair loss and in some cases regrow hair in women and men suffering from thinning hair. 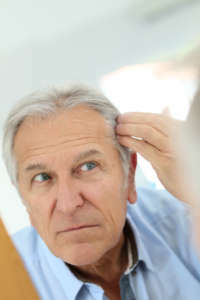 If you suffer from Male pattern baldness, it will most likely take a combination of PRP HAIR LOSS treatments, prescription drugs and a Hair Transplant. What advanced technologies are available at Hair Restoration Savannah?